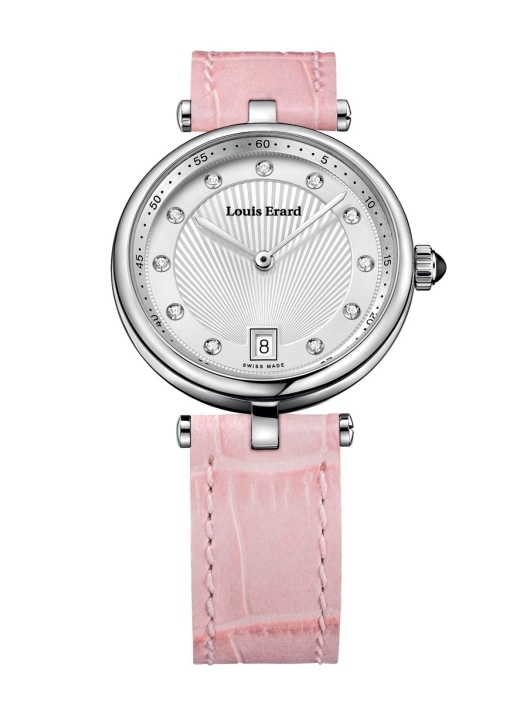 Women’s watches are emerging rapidly. More companies are producing models specifically for women, and, the popularity of larger watches among both sexes has many women wearing watches that were once thought to be just for guys. But even with this proliferation, there is still a desire to own at least one watch that exudes femininity and articulates a classic, delicate aesthetic. Cue the latest Romance collection by Louis Erard. 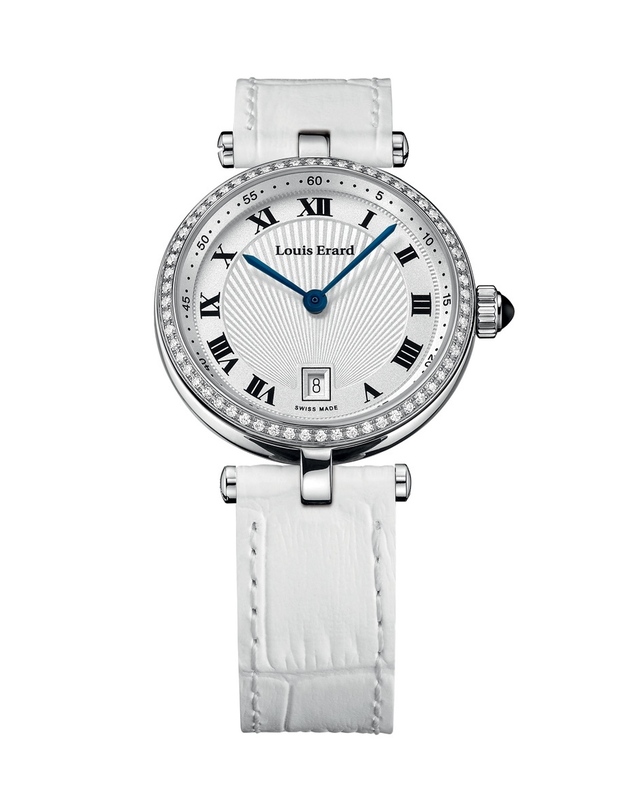 Introduced a year ago, the Romance collection is a series of refined timepieces for women. Each model has subtle variations that trigger different emotional responses. 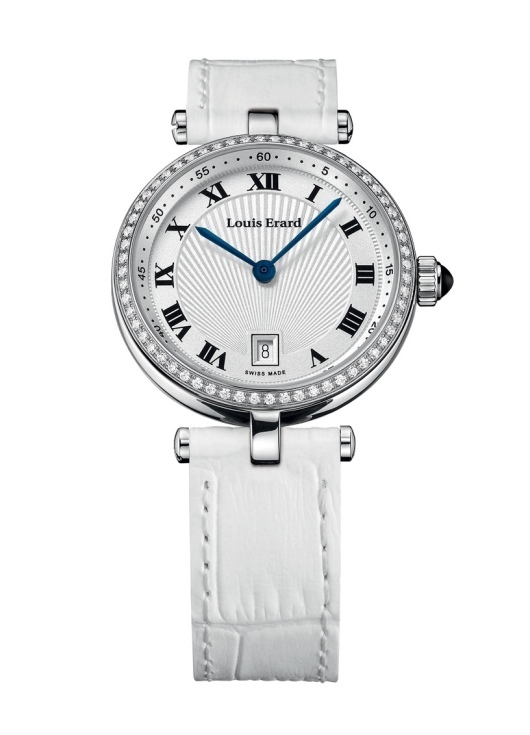 For example, details like Roman numerals pull at the heartstrings of tradition; other highlights, such as gem-set hour markers, permeate elegance; and the watch with the diamond-adorned bezel is pure glamor. 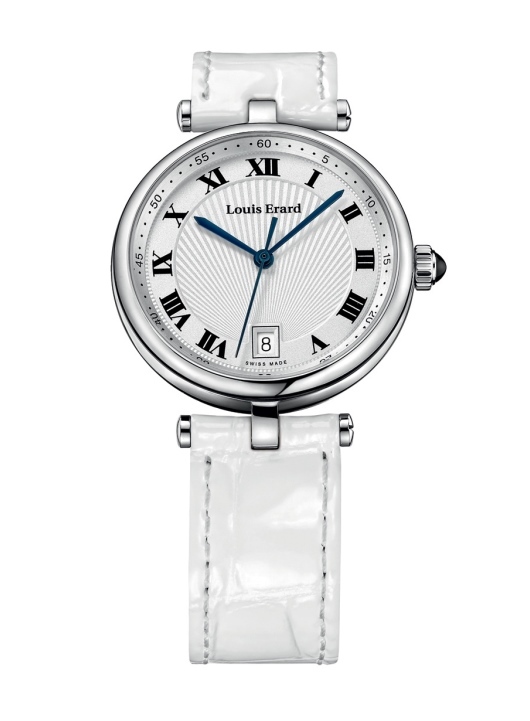 The collection is in keeping with the Louis Erard philosophy of watchmaking, which focuses on understated design. 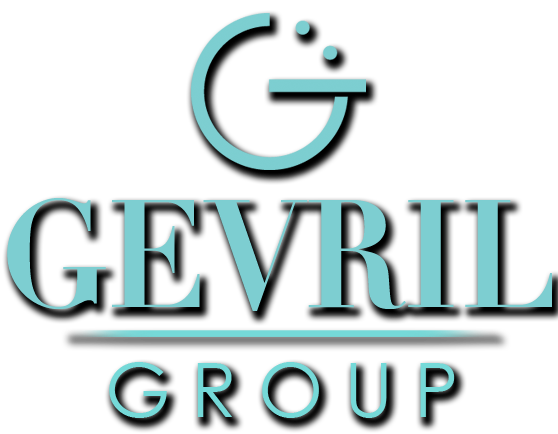 But the brand also strives to create timepieces with modern appeal, and to deliver sophisticated watches at affordable prices. One way to mix this formula successfully is to use modern quartz movements – in the case of these Romance models, a Ronda 705 – to provide accuracy and no-fuss adjustments, allowing the aesthetics of the watch to take center stage. Three new models are available in the collection: two 33 mm diameter versions and one smaller 30 mm version. 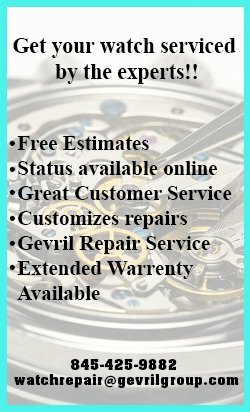 All three share characteristics including round stainless steel cases, silver-tone dials with central guilloche motifs, minute tracks with Arabic numbers, date windows at 6 o’clock and crowns set with onyx cabochons. While it is clear these watches are from the same family, their differences represent original expressions of style. The two 33 mm models have a few key distinctions: one features Roman numerals, blue sword hands and a central second hand; the other employs gem-set hour markers, silver-tone sword hands and no second hand. On the smaller side, the 31 mm version shares some of the characteristics of its larger siblings including the blue hands and Roman numerals. Its unique attribute is its bezel, which is set with 60 full cut (0.30 ct.) diamonds. As a finishing touch, these Romance models are paired with a leather strap available in one of three different colors: white, pink and pearl-white. All three employ a steel folding clasp. The watches are water resistant to 165 feet and feature sapphire crystals with anti-reflective coatings, making them appealing for daily wear or for special occasions. Whether you opt to foster your sophisticated side, play up your flamboyant fashion sense or to sail along with graceful discretion, the choice is yours with Romance. Discover the collection at your nearest authorized Louis Erard dealer.